Celebrating over 40 years in business serving our clients! We're here for you today! Arctic Wholesale Refrigeration and Appliances is a locally owned business with over 40 years of experience selling and servicing household appliances. We currently have two showroom locations, one in Rochester and the other in Cheektowaga NY. Our sales representatives are knowledgeable and eager to answer your questions and help you find the right appliance for you. We take pride in serving the local community with exceptional sales, service and selection. Arctic Wholesale is committed to the highest level of service, quality and lowest prices for our customer. 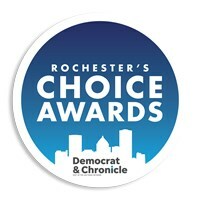 Arctic Wholesale was the proud recipient of the Rochester Choice Awards for Best Used Appliance Store in 2008, 2009, 2010, 2011! Arctic Wholesale Refrigeration and Appliance is a BBB accredited member with an A+ rating since 2010 - and our customers have given us a **5** Star Rating! To see what our customers have said about us, visit the BBB Reviews today.